Critically-acclaimed sludge/doom veterans SOURVEIN have signed with Metal Blade Records! The new partnership's first effort will be the release of the band's fourth full-length album, "Aquatic Occult" in 2015. The album is scheduled to be recorded with Corrosion of Conformity's Mike Dean in early 2015 and will finally see its release later that year. SOURVEIN main man Troy "T-Roy" Medlin was interviewed by friend and fellow musician, Randy Blythe of Lamb of God fame, who penned the band's new biography. The text will serve as an excellent introduction for the uninitiated. It's a recap of the past twenty years of the band, and a look towards a bright future for SOURVEIN. 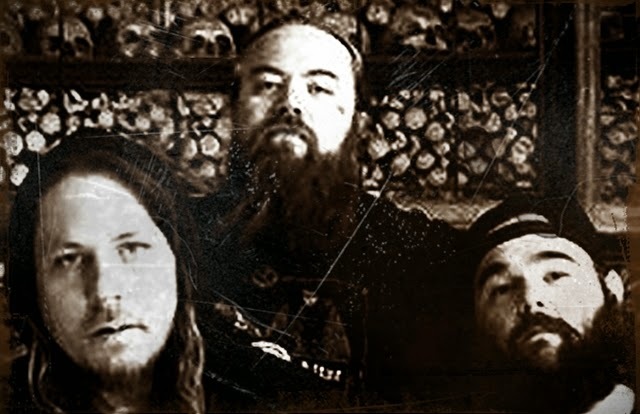 Over twenty long dues-paying years later, SOURVEIN has at long last found a proper home for their doom-laden Southern noise with underground stalwarts Metal Blade Records, and Medlin couldn't be happier. "Aquatic Occult", the band's first offering on the label, promises to be heavier than a two-ton anchor dropped into an antique porcelain bathtub -- it's going to break things. But getting here hasn't been easy. "Finally, man. Finally," he says, shaking his head in disbelief as he reflects on the lengthy, grueling trek that brought his band to Metal Blade's roster.